HomeEmissionsEnvironmentGadgetGreen ProductsRide This Bicycle Which Inhales Dirty Air and Cleans it...! Ride This Bicycle Which Inhales Dirty Air and Cleans it...! Biking in a city polluted by smog isn’t healthy. So people are less inclined to ditch their cars and opt for a bicycle. Hope this clean technology product would bring changes and encourage more biking culture. 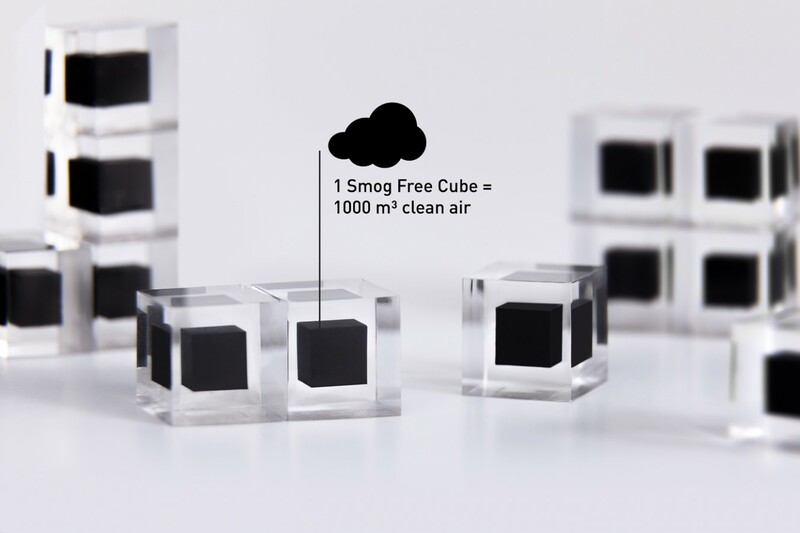 Smog-sucking, air-cleaning bikes from Daan Roosegaarde can inhale dirty air, clean it, and pump it out around a cyclist. These bikes could work much like his Smog Free Tower does, absorbing dirty air, cleaning it, and pouring it back out as fresh air. 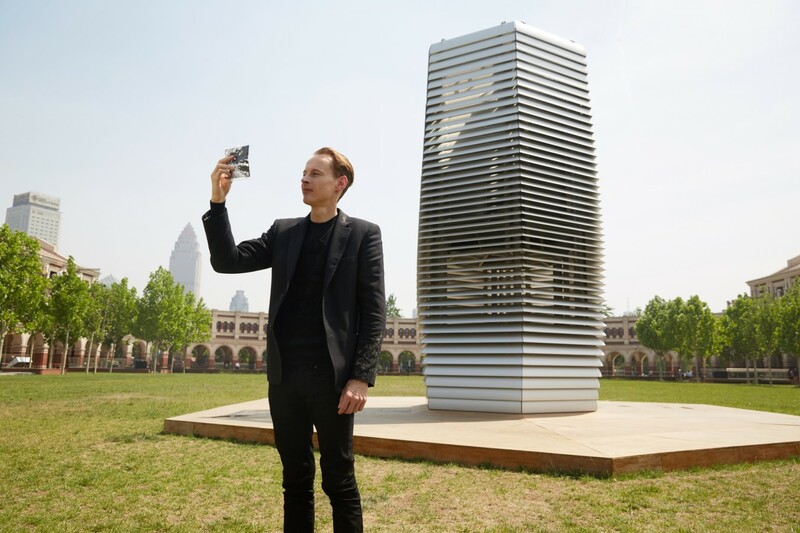 The Smog Free Bike is Studio Roosegaarde's latest concept in his quest for unpolluted cities, which has previously seen him design a Smog Free Tower that he installed in Rotterdam, and more recently Beijing. "The bike is a perfect model," Dutch artist and innovator Daan Roosegaarde told Dezeen. "It has a double function as it cleans the air and reduces congestion while being healthy and energy-friendly." The concept draws its inspiration from the recent Smog Free workshop at M Woods in Beijing which featured artist Matt Hope and Prof. Yang from Tsinghua University and led to new creative output. 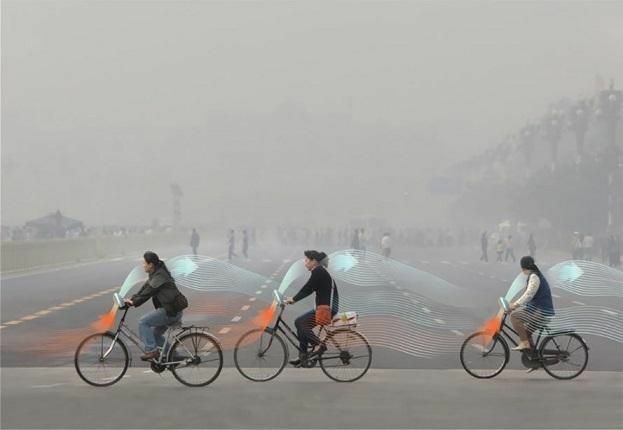 The innovative bicycle inhales polluted air, cleans it, and releases clean air around the cyclist. 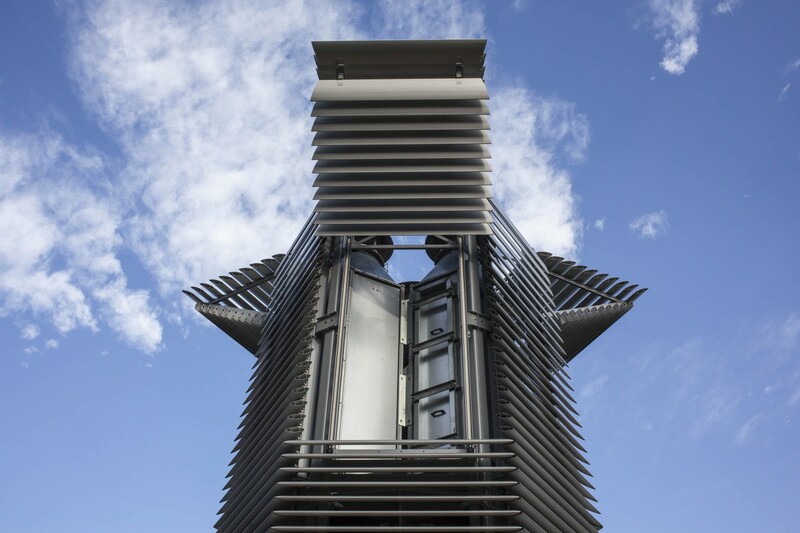 The bicycles will work in similar ways as the Smog Free Tower and provide a healthy and energy friendly solution for urbanites, combatting both traffic congestion and pollution issues in the city, says press release of Studio Roosegaarde. 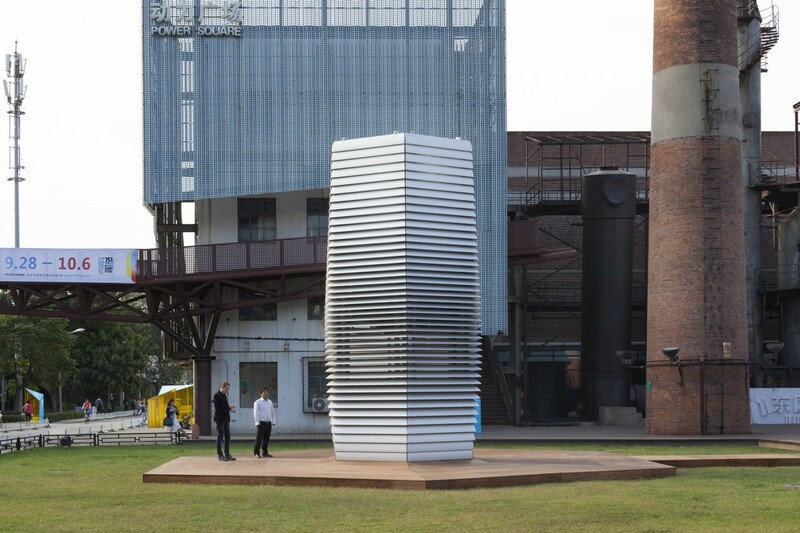 It is currently in the first stage and is intended to become a medium for smog free cities, generating clean air by pedaling, creating impact on the larger urban scale. We must appreciate and congrats to Daan Roosegaarde for his vision and contribution towards pollution-free environment. 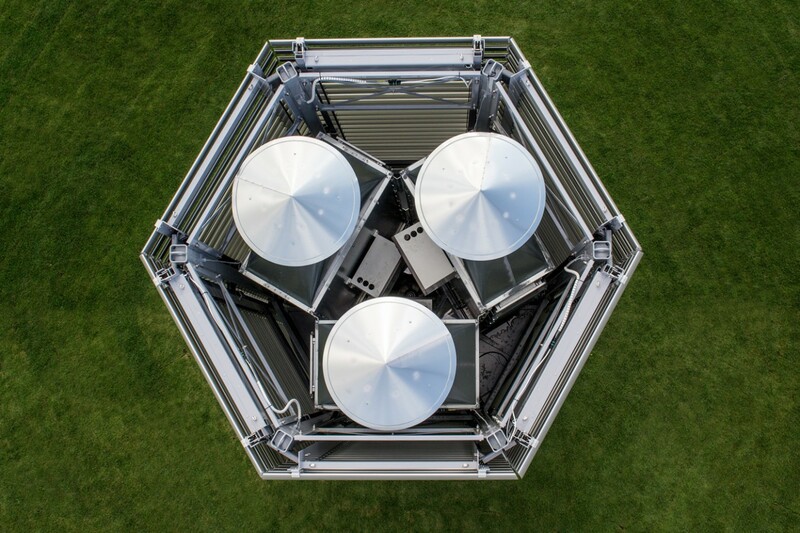 The various eco-friendly inventions of Roosegaarde will definately help in reducing the emission level in major urban areas across the world!